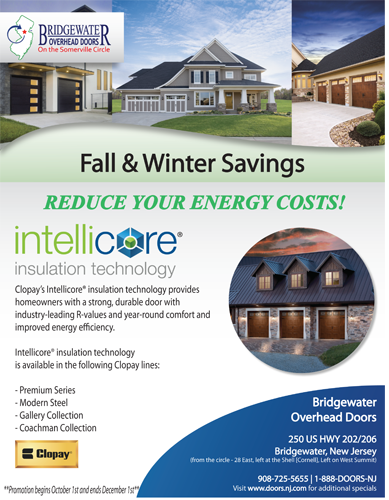 Reduce your energy costs this winter with a new polyurethane insulated garage door from Clopay! Clopay's Intellicore insulation technology are injected with a insulating foam that prevents cold air from getting into your home from your garage. Check out Bridgewater Overhead Doors' collection of Intellicore insulated garage doors at the largest showroom/warehouse in New Jersey!